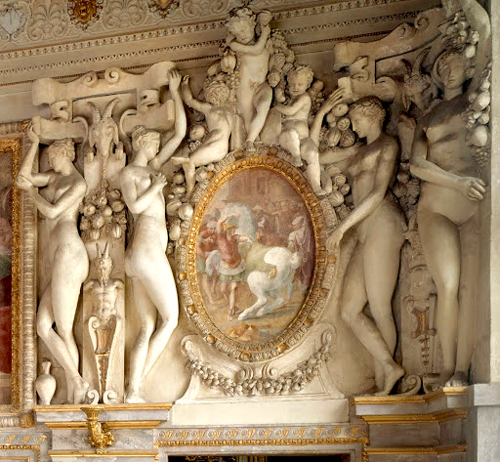 Go here for the English transcript of the 1762 Fontainebleau Treaty. And here for the 1807 Treaty of Fontainebleau. 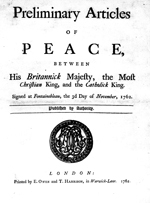 For the Preliminary Peace Articles signed on the same day in 1762, see further down. Carte de la Louisiane et du cours du Mississippi, a French map from 1718. This is the link to this marvelous map hosted by the Library of Congress. Once there, you can enlarge it to a very high degree. 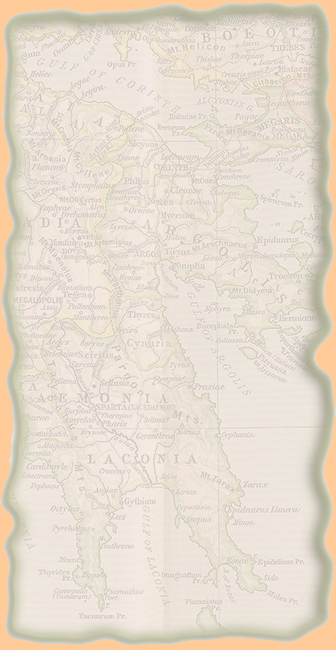 The way Library of Congress have digitized this map is fantastic. After driving south from Paris for an hour, the fabulous and absolutely enormous Château de Fontainebleau appears, "with over 1500 rooms at the heart of 130 acres of parkland and gardens," so the proud tourist desk informs us. But they needn't have bothered trying to charm us, they already had us with Primaticcio's Alexander the Great taming Bucephalus. Here is more on the famous horse Bucephalus. Back to the Treaty of Fontainebleau of 1762. The Duke de Choiseul for France and the Marquis de Grimaldi for Spain. King Louis XV was the king of France from 1715 to 1774, and Charles III was the king of Spain from 1759 to 1788. Both kings were members of the House of Bourbon and ensured each other's loyalty by means of the Family Compact of 1761. 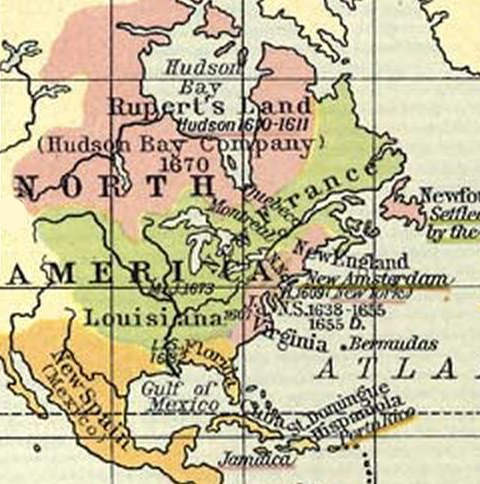 France gifted all of its Louisiana colony west of the Mississippi River, including New Orleans, to Spain. 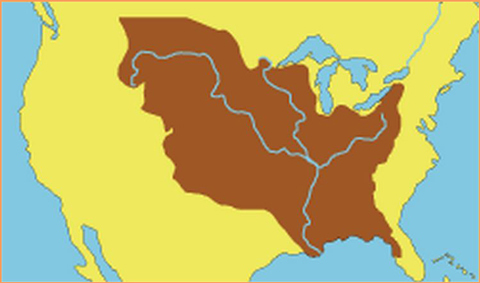 The huge amount of land that changed hands is well illustrated on the map above which shows the total extend of Louisiana (east and west of the Mississippi River) at the time of this treaty. "Louisiana" is hard to read here. Click to enlarge for a better view. Because of René-Robert Cavelier, sieur de La Salle, who lived 1643-1687. 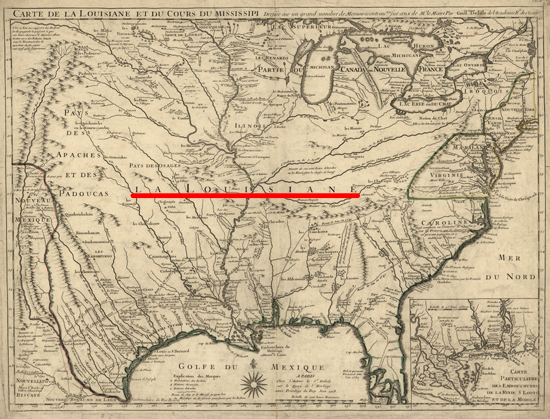 La Salle was a French explorer who claimed the entire Mississippi Basin for his king, Louis XIV. Hence the name. 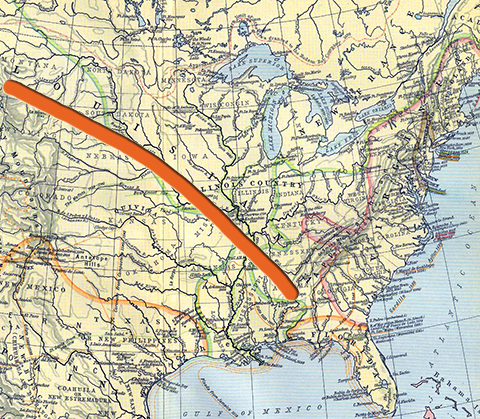 Here you can track La Salle's expeditions on a map. And here is La Salle's travel companion Henri Joutel's journal of La Salle's last voyage, 1684-7, digitized by Archive.org. 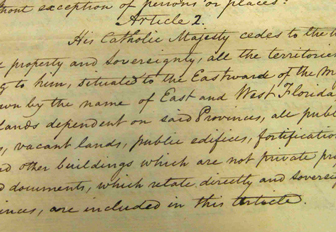 When Was the Treaty Signed and When Was It Ratified? On November 3, 1762, at Fontainebleau. On November 13, 1762, at San Lorenzo el Real (Escurial), Spanish King Charles III approved with his signature, countersigned by Ricardo Wall. On November 23, 1762, at Versailles, French Louis XV also ratified the treaty, countersigned by César Gabriel de Choiseul, who was the first Duc de Praslin. Why on earth would France give away voluntarily and for nothing in return such an enormous amount of land, which in fact was possibly the most fertile part of North America? On the same day on which France and Spain signed this treaty at Fontainebleau, another treaty was signed in the same building. 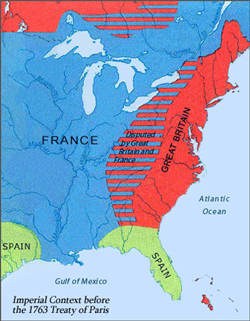 Those were the Preliminary Articles of what would become the 1763 Treaty of Paris ending the French and Indian War, signed by Choiseul for France, Grimaldi for Spain, and John Russell, fourth duke of Bedford, for Britain. 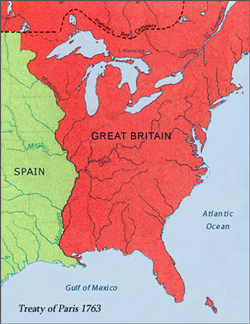 In order to get Spain to agree to these preliminary articles, in which France made concessions to Britain that were not ideal from the Spanish point of view, Spain received a gift, western Louisiana. 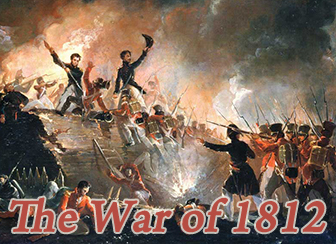 Or, to answer this question in other words, the French and Indian War was mainly a war between Great Britain and France. France dragged Spain into the war as their ally, and just a little later France was itching to stop fighting with Britain and had to persuade Spain again, this time to make peace. Hence western Louisiana. Please note: New Orleans is incorrectly shown as British. See more here.